Fancy a road trip across Scotland? 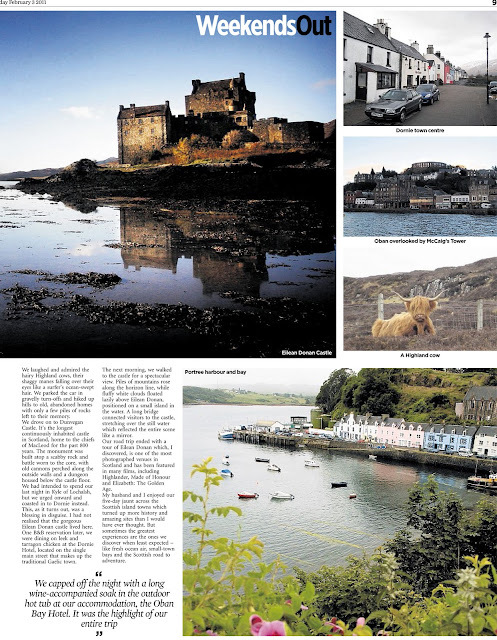 Take a look at my recount of our jaunt 'round the country, when my husband and I traveled from Aberdeen to Isle of Skye last spring. 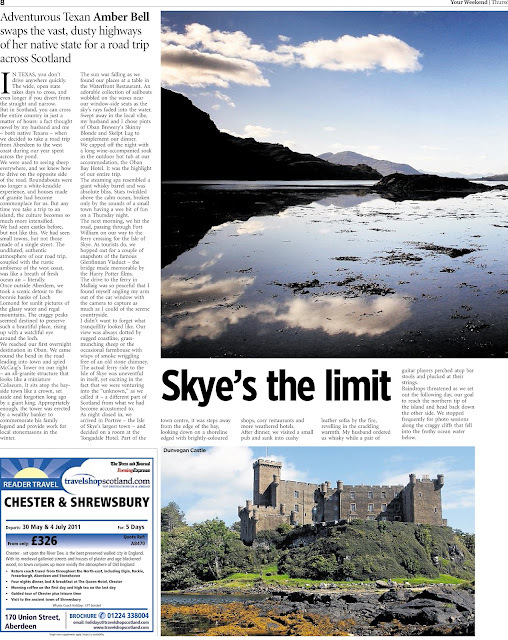 The story came out in Scotland today in Your Weekend, a supplement to the Press & Journal daily newspaper in the UK. I'm so excited! That brings back a lot of memories, doesn't it? ?